Summer may be over but your active lifestyle doesn’t have to be. Our FALL INTO FITNESS Membership Special will keep you active through the fall and winter months. Become a member of the Scott County Family YMCA and only pay the Join Fee (we are waiving the prorated fee) and draw for a surprise discount on your monthly membership fee for an entire year. You could save $5, $10 or $15 a month for a year. Join us Tuesday October 9, 2018 for our Halloween Party! Bring your favorite apple or pumpkin dish and dress up in your best family friendly Halloween costume! Prizes will awarded for best costume. We’ve been offering quality child care in Scott County for six years, and we’re excited for your child to experience our outstanding curriculum for the upcoming school year. Our program offers a safe and friendly environment where elementary age children can make new friends, enjoy fun activities, get homework assistance and much more. Kids will enjoy our fun and safe alternative to trick or treating. Scott County YMCA staff and volunteers are excited to open their trunks to the community and hand out candy and treats to all the little superheros and princesses of Scott and neighboring counties. Where: Scott County Family YMCA South Parking Lot. ARE YOU READY TO “RUMBLE”? R.I.P.P.E.D. RUMBLE is an authentic, yet simple to master, cardio mixed martial arts adapted for the group exercise environment! Like R.I.P.P.E.D. – Rumble’s formulated with Systematic Science based techniques that are safe, effective, and FUN! You will use a weapon; The Rumble Stick – creates a higher degree of training and is an extension of your body, which enhances spatial awareness and overall movement. ​Similar to R.I.P.P.E.D., Rumble has been created for EVERY body! No martial arts experience required, just a willingness to sweat, a desire to get an incredible workout, and the willingness to have fun along the way! We are turning our regularly scheduled Zumba class into a Zumba Bash! Dress up in your favorite costume and we’ll dance to an energetic line up of old and new Zumba songs mixed with a splash of Halloween tunes. Cost: Free to members. $10:00 for non members. Depart from the Scott County Family YMCA at 9:00am and travel by luxury motor coach to The Kentucky Derby Museum and Millionaires Row. You’ll sit where the most revered enthusiasts sat and enjoy a buffet from a tiered balcony overlooking the finish line. Deadline extended to September 16. Enjoy a magnificent river experience through McAlpine Lock on the Belle Of Louisville. 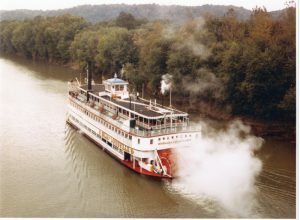 Enjoy a delicious buffet brunch on this scenic steamboating adventure (taxes and gratuity are included), and learn the history of the river, the lock and the boat. We will depart the Y at 11:30am and return at 5:00. Must be registered by September 14. 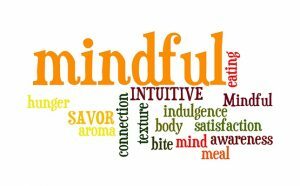 Follow our 21 Day Mindful Eating Challenge on Facebook. Starts September 17. Just click the Facebook Button below for more information , then click “interested” on the event and that’s all there is to it. You’ll be given all the details on September 16th through the event page. Are you ready to take your workout to a new level? This combination of isometric, stability and resistance exercises will challenge your body in a way no other workout will. 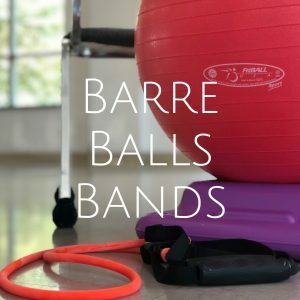 The Barre workout consists of ballet inspired postures and isometric strength training. The high rep, small range of motion movements will bring on the burn. The Ball will be used to challenge balance and stability as well as build strength. The bands add a new dimension to the strength training by adding resistance. These three elements will have you seeing results in no time. Class is being offered Wednesday and Friday at 9:10am. First class starts October 10. This entry was posted in UPCOMING PROGRAMS AND EVENTS. Bookmark the permalink. It is the policy of the YMCA to make membership available to all persons regardless of race, color, religion, gender, marital status, sexual orientation, national origin, disability, or financial circumstances without discrimination. Financial assistance is available to those demonstating need and is subjected to available resources. 11,000 square foot gymnasium for basketball and volleyball, along with an elevated running/walking track surrounding the gym floor.